The transferred equipment will increase the passage capacity of crossing points. The United Nations Refugee Agency has launched a 3.5 million hryvnia project to improve the crossing points of entry-exit Novotroyitske, Maryinka and Mayororsk, the agency's website said on 8 March. 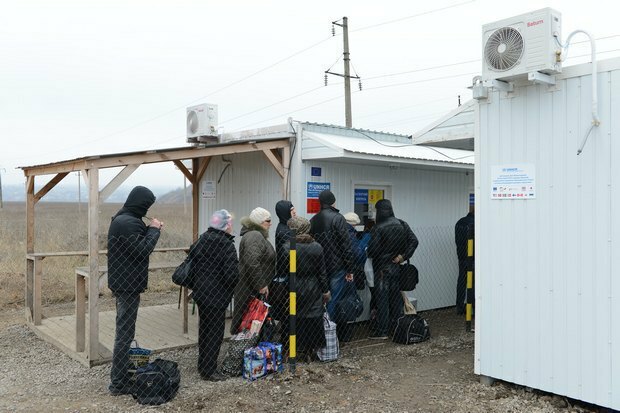 UNHCR has purchased and transfer to Ukraine the technical equipment that will help more persons crossing the line of contact and decrease waiting times at the crossing points. The technical equipment provides for the installation of four additional modules with computer and other equipment of 20 new places for the officers of the State Border Service of Ukraine at each of the crossing points. In turn, the border service promises to increase the manpower for the implementation of documentary control. The agency's assistance project also provides for the placement of tents with a heating system in waiting areas adjacent to the crossing points, coordinated by the State Emergency Service. The UN Refugee Agency (UNHCR) is an international organization whose activities are aimed at saving lives, protecting human rights and creating a better future for refugees, internally displaced and stateless persons. The agency coordinates international efforts to protect individuals who have been forced to leave their homes as a result of conflict and harassment. The organization provides assistance in providing housing, household goods, and also helps protect fundamental human rights. The agency has been working in Ukraine since 1994. The Novotroyitske crossing point is planned to be transferred 8 km closer to the contact line. This will make it possible to withdraw nine villages: Berezove, Stepove, Taramchuk, Holovne, Novomykhailivka, Paraskovyivka, Konstantinivka, Vodyane and Solodke from the so-called "gray zone".